"How to Get Started with Inbound Sales: Process, Strategy and Results"
Inbound sales process is a consultative selling method that focuses on helping buyers to make a purchasing decision in order to build a non-intrusive relationship. 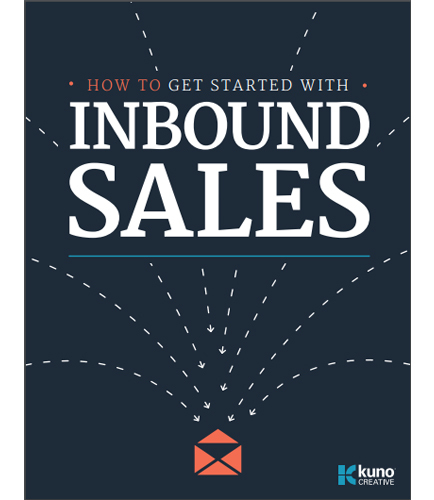 Inbound sales is about sincerely guiding prospects to the right solution for their needs or problems and furthermore, helping them feel comfortable with their decision. Who is an inbound sales representative? How can a sales representative bring more revenue to an organization? Practicing the inbound strategy that properly targets campaigns to generate high-quality, sales qualified leads. Since outbound sales process is becoming obsolete, more focus needs to be on inbound strategy. inbound focuses on monitoring the wants of the buyer and provides the right content to support a sale. What information do buyers look at while making a purchasing decision? What are the best inbound marketing tactics that focuses on generating more qualified sales leads and customers? Download this whitepaper to learn more about building a good inbound sales team with right technology and right process that results in generating qualified leads and increased revenue of organization.